The doctors and staff of Gastroenterology Associates, P.C. have been providing the highest-quality digestive care to patients for nearly 40 years. We take pride in ensuring that each and every patient is given the personal care, attention, and respect they deserve. Our team of compassionate and competent digestive health specialists are trained in the latest techniques and procedures, including upper endoscopy, colonoscopy, capsule endoscopy, and more. 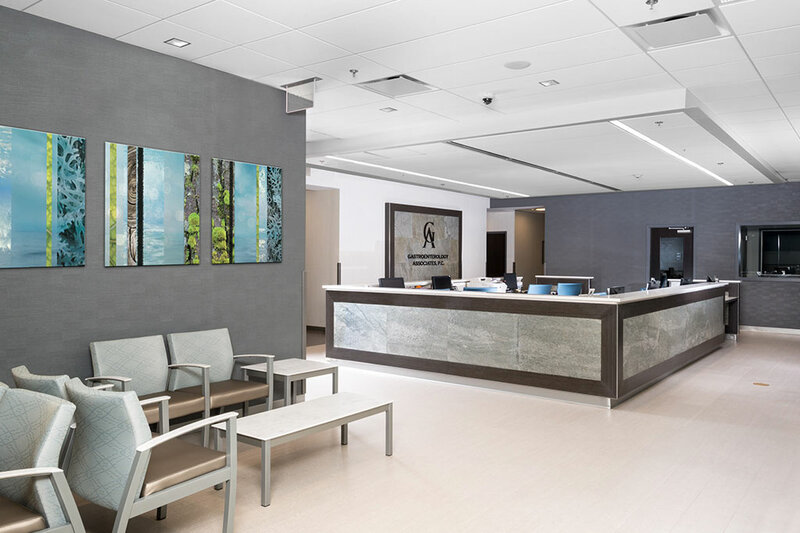 Our unique relationship with Long Island Center for Digestive Health (LICDH) strives to ensure patients receive an unparalleled caliber of care. While Gastroenterology Associates is a private group practice where patients are diagnosed and treated, LICDH is a distinguished outpatient procedure facility where our doctors perform advanced diagnostic testing and procedures utilizing the latest technologies in the field. Both share the same main building, at 106 Charles Lindbergh Blvd. 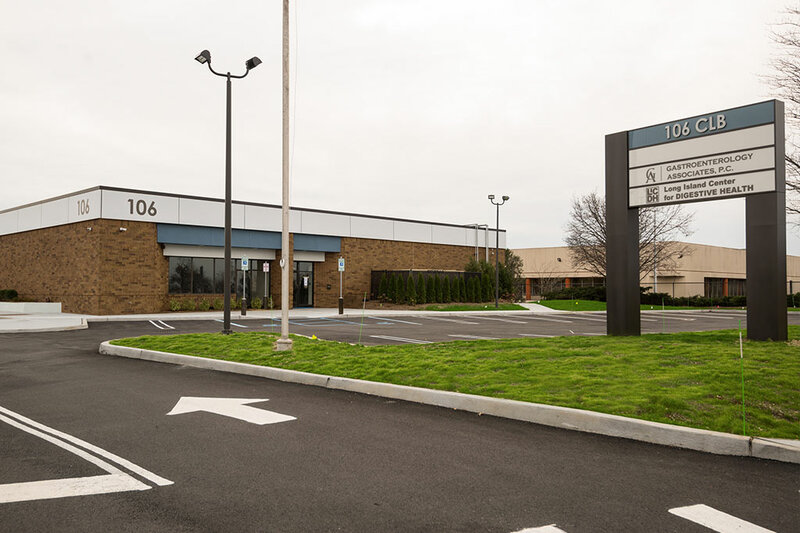 in Mitchel Field in Uniondale, which facilitates a smoother scheduling process, saving time and eliminating some of the added stress that often accompanies uncomfortable digestive disorders. Your digestive tract is complex and can be affected by a number of often subtle and difficult to understand conditions. That’s why our team of specialists focus not on a particular procedure or treatment, but on understanding, diagnosing, and resolving your unique problem. The doctors at Gastroenterology Associates begin remedying your digestive issues by listening to you carefully and investigating your condition thoroughly. We always strive to determine the best treatment for you, because one-of-a-kind digestive problems demand one-of-a-kind solutions. Our doctors are available to answer your questions by phone during office hours, and in the case of an emergency, after-hours as well. Our assistants are specially trained in their particular areas of expertise, and most have been with us for many years. Gastroenterology Associates is dedicated to restoring your digestive system to its optimal health. The American Society of Gastrointestinal Endoscopy (ASGE), a professional organization of physicians dedicated to improving endoscopy, honors endoscopy providers that have demonstrated a commitment to delivering quality and safety through their Endoscopy Unit Recognition Program (EURP). Evaluations are based on unit policies, credentialing, staff training and competency, and quality improvement activities. AAAHC accreditation acknowledges that the facility participates in continued self-evaluation, peer review and education to improve its care and services. Nearly 15,000 physicians spanning 86 countries are members of the American College of Gastroenterology (ACG). The ACG provides its members with the most accurate and up-to-date studies on digestive health. The American Gastroenterological Association (AGA) is a medical association of gastroenterologists with about 16,000 scientists and physicians who are members of the organization.